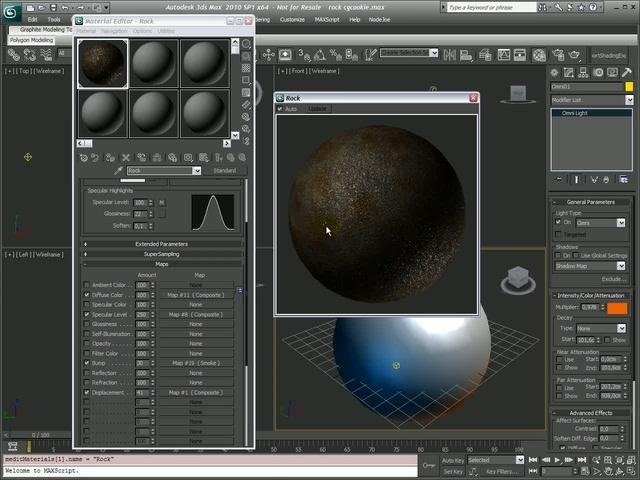 In this 3D Studio Max tutorial, you'll see how to use procedurals to create a rock texture. Specifically, the guide addresses displacement tuning in Mental Ray, specularity properties and using stacked procedurals to create cracks, rust, and bumpy structures over the surface. Whether you're new to Autodesk's popular modeling software or a seasoned 3D artist just looking to better acquaint yourself with the application, you're sure to be well served by this video tutorial. For more information, take a look!